Home / Articles / 2015 / New Dogs, Old Tricks? E-learning is advancing, but should we kick it old school when it comes to preparing manufacturing workers? It’s that time of year again: kids begrudgingly board school buses, as parents around the country silently rejoice. During back-to-school season, talk often turns to learning. Educational theories vary sharply in our country and there is much debate surrounding educational goals and, more specifically, how to prepare newer generations of people to achieve these goals. Learning doesn’t end after graduation, obviously, and there is constant discussion in the pharma industry and manufacturing in general about the “people factor,” and the industry’s ability to close the manufacturing skills gap and put the right people in the right positions. “Millennials” (those born in the early ’80s and ’90s) are bringing a new set of obstacles to the industry because they tend to push back on “traditional” approaches to learning in the workplace. While this can be challenging — and in some cases, plain annoying — great ideas have been born out of the need to innovate learning. E-learning offers a great solution to an industry that is ever-changing and also requires highly customized training. Vendors have come up with truly out-of-the-box methods to train employees. For example, Pharmaceutical Training International, a supplier of event-based training courses for the pharma and biotech sectors, recently launched a range of game-based e-learning courses that allow employees to learn and compete through interactive quizzes and 3D virtual environments. Users benefit from a more engaging and entertaining method of acquiring new skills through role-play in real-world scenarios. But should we abandon the tried and true methods of learning? There is no arguing the historical significance of manufacturing in the U.S., and the country saw much success from a very traditional learning structure. 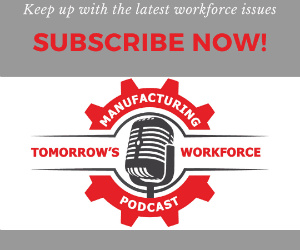 Jerry Jasinowski, former President of the National Association of Manufacturers, recently published a blog advocating a more traditional approach to training new workers for the modern manufacturing workplace. Jasinowski points out that the apprenticeship concept — pairing new employees with trained veterans — is still a valid and reliable method of grooming qualified workers. In fact, the apprenticeship model is alive and well in UK pharma, and apprenticeships are largely built into the training infrastructure. GSK offers paid hands-on apprenticeship programs in the UK in specific areas such as supply chain, IT, lab, manufacturing and packaging; Novartis and Takeda offer similar programs at their UK branches. Critics are quick to point out that given time and financial constraints, as well as lack of government support, a full-scale European-style apprenticeship model in U.S. pharma isn’t the answer. But the idea that many have proposed is perhaps more along the lines of bringing back aspects of apprenticeship. Indeed a “blended approach” to learning — a mix of digital and traditional hands-on teaching — appears to be highly regarded in the pharma industry. Millennials in the workplace push companies to take a fresh look at training and development approaches, and those revised approaches, combined with time-tested methods, can lead to better performance from an organization as whole.